Colorado is my home state. 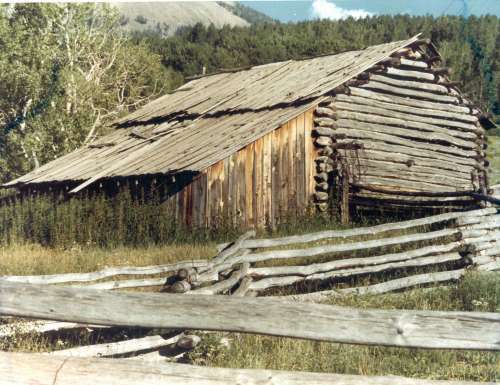 I grew up looking at old barns like this one. I read this post fully about the resemblance of hottest and preceding technologies, it's awesome article. Wonderful composition and textures on this capture,Gary. The horizontal and vertical lines are so pleasing to the eye. Thanks Carol and May. And May, that is tragic! To have your camera stolen is bad enough, but with all those great photos on it ... that's almost unbearable. Beautiful barn. There's a mystique about them - I once took Hwy 49 from beginning to end and shot every appealing barn. And then one night after rafting the American River, I found my camera with that roll had been stolen from the truck. OH - to do it again! A lovely photo of a weathered barn and fence. Would make a great painting or photo transfer. What is it about old barns that draws us to them? This is a terrific shot with the hint of the immensity of the mountains behind and wondering what it was like to fell the logs for the intricate fence and beautiul barn under their shadows. Great mix of lines and textures.